Most Thais, it would seem, have never heard of Ban Chiang. Nor are most foreigners to Thailand aware of it, and it is certainly not on any regular tourist circuits. However, this UNESCO World Heritage Site (one of five in the Kingdom of Thailand) is considered to be the most important archaeological site in Southeast Asia! It is located within Isan, I region where I recently spent two weeks and is 50 km east of the regional hub of Udon Thani. We spent about three hours there. For over a hundred years it was accepted as fact in the scientific community that SE Asian civilization including rice cultivation and the Bronze and Iron Ages migrated from either China or India. Well it turns out they were wrong! Middle period. Pots were fired and then red designs were applied. True story: In 1966, Steve Young, an anthropology student at Harvard College, was living in the area conducting interviews for his senior honors thesis. One day he tripped over the root of a tree and fell face down where he noticed the edges of some red pottery buried in the earth. He recognized the potential significance of this find and brought it to the attention of the royal family. The following year the first excavations revealed human remains along with bronze grave gifts. A visit by His Majesty King Bhumibol Adulyadej followed in 1972. As a young man, the King received scientific and medical education in the west and had a keen interest in furthering research. Samples were sent abroad for carbon and thermoluminescence dating. 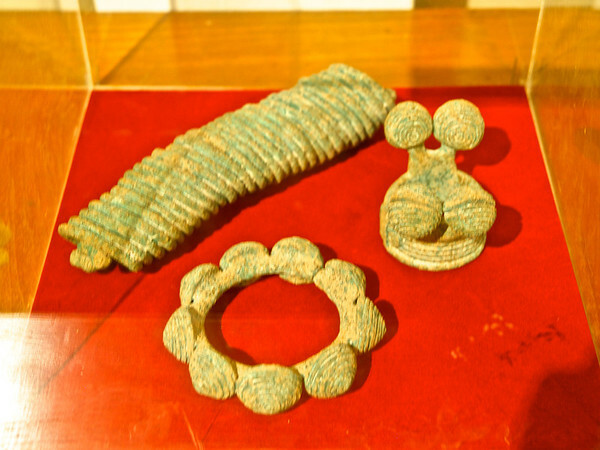 The findings at Ban Chiang cover three periods, Neolithic (with evidence of rice cultivation), Bronze and Iron Ages (with evidence of forging and accompanying artifacts). 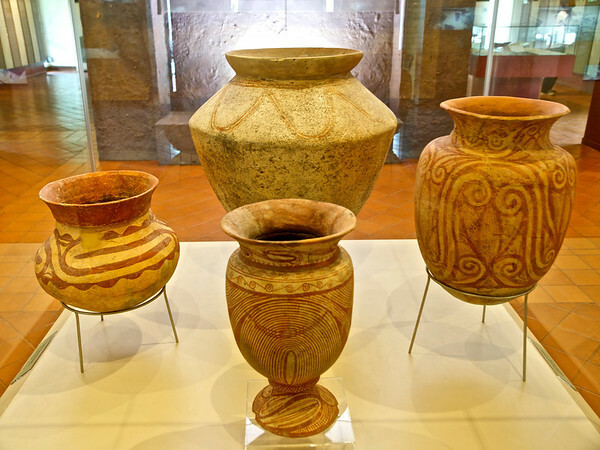 The earliest artifacts are dated between 5,500 and 6,000 years ago! Much has been subsequently learned in the ensuing decades and for those interested, a great deal of it is published and widely available. The cliff notes version is that rice cultivation and the Bronze age developed quite independently in what is presently Ban Chiang, Thailand. The site has been excavated and preserved. 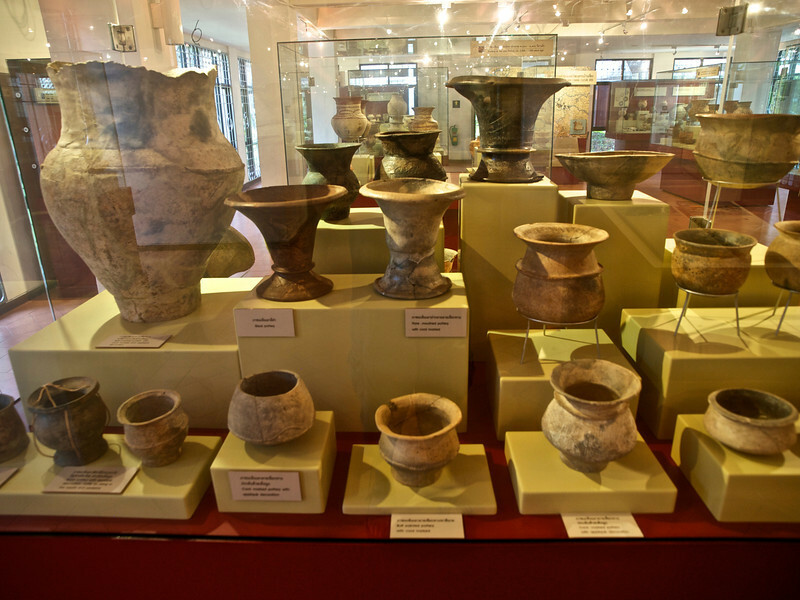 A well thought out National Museum displays hundreds of pots and other objects as well as providing much educational information. The actual site is located a short distance away and is in the middle of a Buddhist Wat. 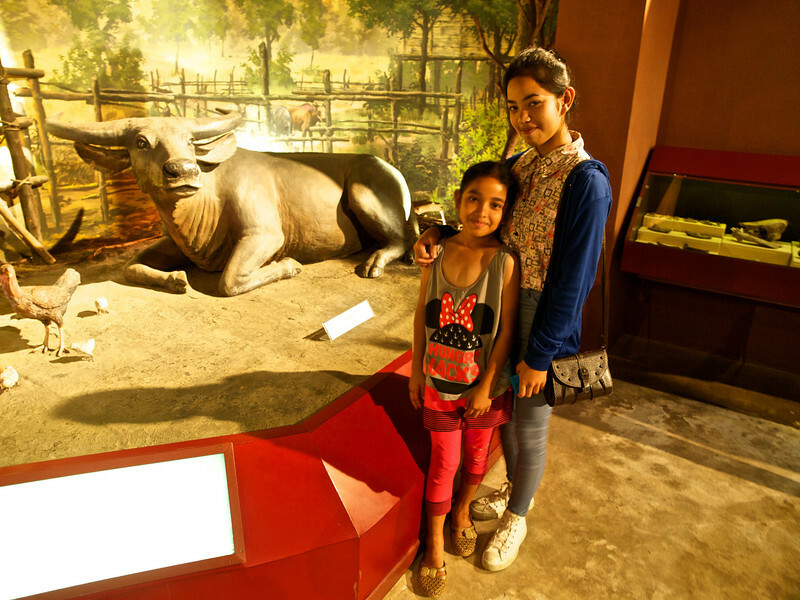 The site is now a second museum and is included in the US$5 admission price ($1 for Thai citizens). Non-flash photography is allowed in all areas. In 1992, UNESCO inscribed Ban Chiang as a World Heritage Site. 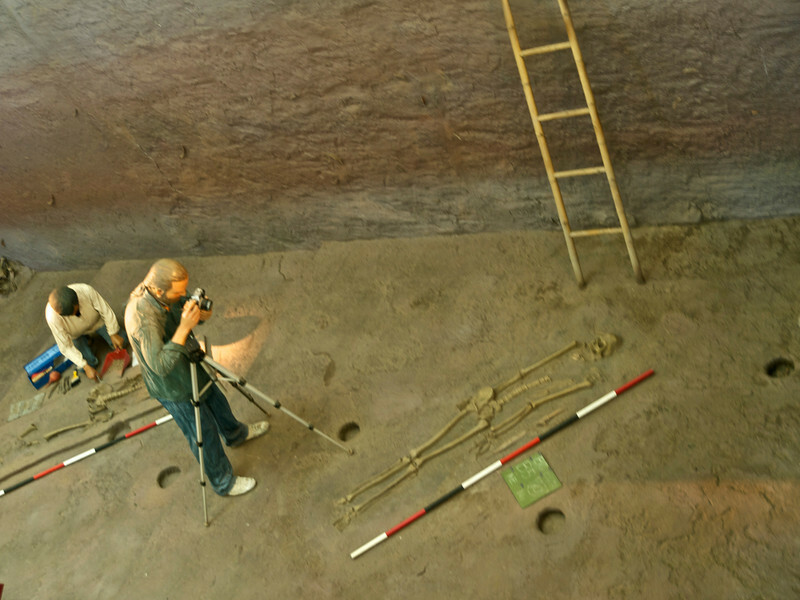 This was their criteria: Ban Chiang is considered the most important prehistoric settlement so far discovered in South-East Asia. It marks an important stage in human cultural, social and technological evolution. The site presents the earliest evidence of farming in the region and of the manufacture and use of metals. Pop and Poy really liked the dioramas. I thoroughly enjoyed my visit as did my girlfriend and her family all of whom live about two hours from the site and had never visited. 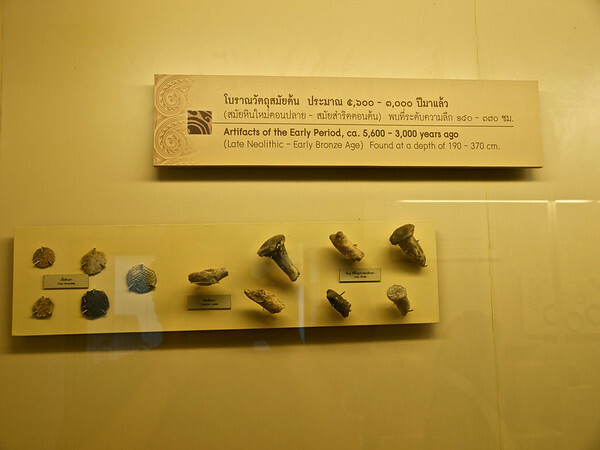 We all learned a great deal about the pre-history of Thailand and Southeast Asia. All displays are in English and Thai. This must be the most underrated attraction in Thailand. Really appreciate the time you take to gather and present information on the World Heritage Site in Issan. I also didn’t know about this site, so I will add to my list of places to see when I decide to visit Issan. Thanks Rod. It is definitely worth a visit if you are anywhere near the area. It took me a while to get to see your link, been real busy. Wow, and quadruple WOW! Thanks for sharing this. Amazing place to wrap your mind around Scott. It has really challenged traditional conceptions of human and cultural migration.